Jawbone isn’t flinching in the face of more advanced smartwatches, as its new fitness trackers stick with simplicity and long battery life over full-blown displays. 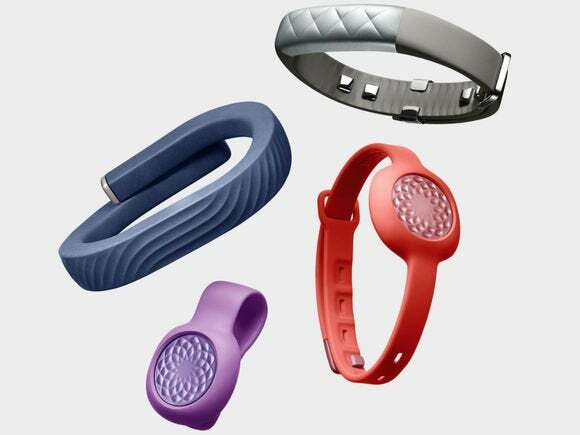 The cheaper of Jawbone’s new gear is the Jawbone UP Move. At $50, it’s a direct response to low-cost fitness trackers like the Misfit Flash, with a module that users can either clip onto their clothing or wear on their wrists with an optional $15 strap. While it doesn’t have a proper display, it’s the first Jawbone whose LED indicators can tell the time and step progress. On the high end of Jawbone’s lineup is the $180 Jawbone UP3, which seems like a souped-up version of Jawbone’s existing fitness bands. Like its predecessors, it has no display, but adds new sensors that can measure resting heart rate and tell the difference between light, deep and REM sleep. Over time, it can also learn to recognize specific exercises, such as cross-training, tennis or swimming, so users no longer have to specify what they’re doing. Why this matters: Unlike rival Fitbit, whose latest fitness trackers are a nod to smartwatches with features like caller ID, Jawbone is sticking to its roots. The company clearly thinks users don’t want to be distracted by another screen, and would prefer an accessory that can still be styled alongside another bracelet or watch. The companies’ diverging visions aren’t just interesting from an industry perspective; they’re great for consumers, who may have different ideas about what a fitness tracker should do. All Jawbone devices offer the same basic step counting and sleep tracking, which feeds into a smartphone app that processes the data in a variety of ways. 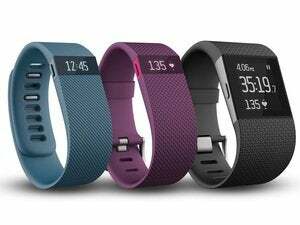 It measures calories burned, estimates distance traveled, and logs different workout types. Users can also set personal goals, get recommendations from a “Smart Coach,” and log their meals. The difference lies in the features that Jawbone adds on top of each device. 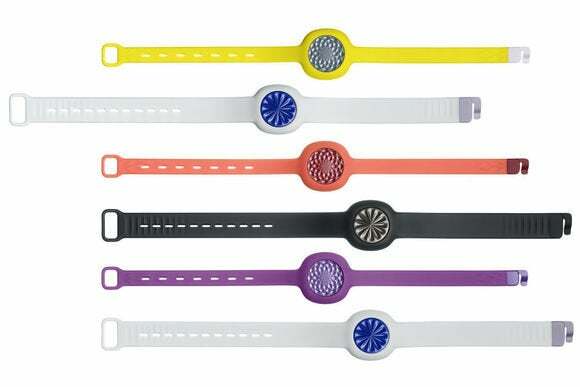 The Jawbone Up Move can be worn as a wristband with an optional $15 strap. While the $50 UP Move is much cheaper than Jawbone’s other trackers, it’s the only one that tells the time and shows step progress on the device itself. It also lasts for six months on a charge using a replaceable coin cell battery, while Jawbone’s other devices have rechargeable batteries that last for a week or two. With Jawbone’s more expensive trackers—including the $130 UP24 that launched last year—you get a vibration motor that will buzz when you’ve been sitting for too long. It can also try wake you up during a light sleep cycle so you won’t feel as tired in the morning. The $180 Jawbone UP3 adds heart health monitoring, automatic activity classification, and better sleep tracking, and Jawbone says additional heart rate data will be available through a future firmware update. It’s also water resistant up to 10 meters, where as Jawbone’s other devices are merely splash-proof. Those features come at a price, however, as the UP3’s 7-day battery lasts just half as long as the existing UP24. There’s also no mention of an altimeter, which was one of the big missing features in Jawbone’s previous bands. 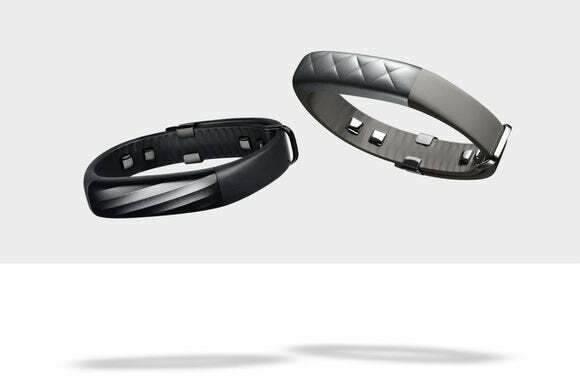 The Jawbone UP3 includes new sensors that measure resting heart rate, with more features to come via firmware update. The UP Move is available for pre-order now, and will ship later this month, while the UP3 will go on sale later this year. Jawbone’s existing UP24 fitness band is staying in the lineup at $130, but the original UP—which connects to smartphones via a headphone plug instead of Bluetooth—is being phased out. You can still grab one from retailers like Best Buy for under $70.